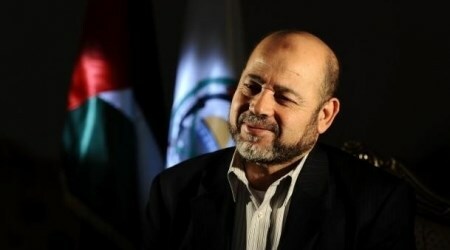 Ismail Haneyya, deputy head of Hamas's political bureau, said on Friday that the true test of the PLO Central Council's decision to halt security coordination with the Israeli occupation is its transformation from theory to practical implementation. 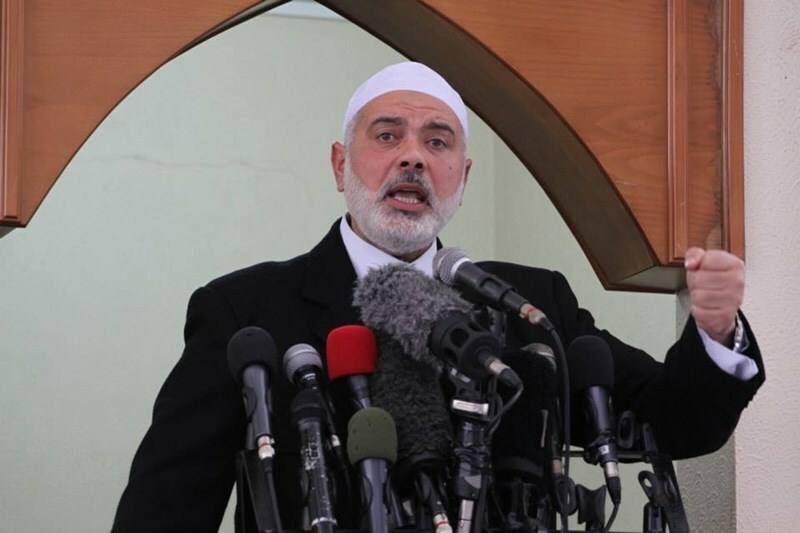 During his Friday prayer sermon in Al-Katiba Mosque in Gaza, Haneyya called for an end to security coordination and negotiations with Israel. He warned of any attempt to reconsider the declared decisions or to adopt them as recommendations to the PLO Executive Committee. The senior Hamas official stressed the need for drawing up a unified national strategy based on partnership, prosecution of Israeli war criminals at the ICC, and the implementation of the reconciliation agreement. At the end of its two-day meeting, the PLO Central Council decided to halt security cooperation with Israel and take further steps to promote the national reconciliation with Hamas. In a separate context, Haneyya said the "national unity government train has not yet reached its desired destination", which requires the implementation of all reconciliation agreements. He pointed out that the reconciliation agreement included five main points: the formation of the government, activating the Palestinian Legislative Council, holding legislative elections, community reconciliation, and activating the leadership framework of the PLO. The government was formed, but all the other issues were suspended, he noted, adding that the PLO leadership framework hadn't met since the formation of the government. "There are three main tasks assigned to the government mainly reconstruction, holding elections, and unifying the Palestinian institutions in Gaza and the West Bank," he said. Haneyya also stressed that the Palestinian cause is at a turning point that requires political will that provides a chance for the Palestinian people to devote themselves to their core cause, which is Jerusalem and Al-Aqsa Mosque. 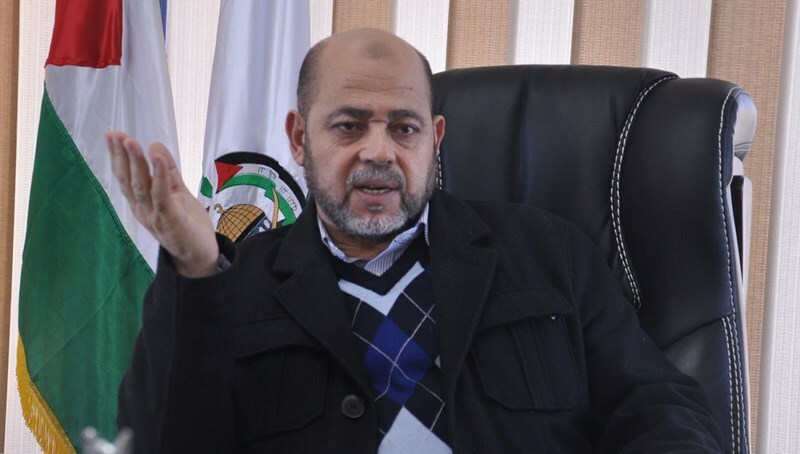 Member of Hamas's political bureau Mousa Abu Marzouk on Thursday welcomed some of the decisions made by the Central Council of the Palestine Liberation Organization as "good and a step in the right direction." “Many of the decisions taken by the PLO Central Council are good and constitute a step in the right direction. Hamas is receiving them positively,” Abu Marzouk said in a brief statement late Thursday. The 1993 Washington-brokered Oslo Accords between Israel and the PLO made the latter committed to preventing attacks on Israel inside the occupied territories and exchange security-related information. -Israel, the occupying power in Palestine, must assume all its responsibilities in accordance with its obligations under international law. -To suspend all forms of security coordination given Israel's systematic and ongoing noncompliance with its obligations under signed agreements, including its daily military raids throughout the State of Palestine, attacks against our civilians and properties. -To boycott all Israeli products and not only those coming from Israeli settlements. Israel must pay the price for its refusal to assume its responsibilities under international law, including the systematic denial of the Palestinian right to self-determination. -To reject all attempts to recognize Israel as a Jewish State. Palestine will not legitimize the racist policies conducted by Israel against the Palestinian people, both within Israel and the State of Palestine, just as we reject the Islamization of the region adopted by all extremist entities. -To strengthen national reconciliation in accordance with relevant agreements is a top priority in order to facilitate the reconstruction of Gaza which suffers from an illegal, and prolonged blockade by Israel, the occupying power. -To hold general presidential and parliamentary elections, including the Palestine National Council, as soon as possible. -To support the Palestinian diplomatic initiatives, including accession to international treaties and organizations, while insisting that the international community assume its responsibility to hold Israel accountable for its systematic violations of international law. -The Council expresses its full support for the Higher National Committee for the International Criminal Court (ICC). -The PLO, in coordination with the Arab League, will make use of its right to request from the United Nations Security Council to set a deadline to end the Israeli occupation on all territories occupied on June 4th 1967 as a step towards full sovereignty and independence of the State of Palestine with East Jerusalem as its capital and honoring the rights of refugees in accordance with UNGA Resolution 194. -The Palestinian National Authority was the outcome of the national struggle of the Palestinian people to move from occupation to independence. Its institutions should be maintained and must not be dissolved. -The PLO Executive Committee will execute all resolutions made by the PLO Central Council, and will report on the progress of the implementation during the next meeting of the Central Council. Minister for Foreign Affairs of Algeria Ramtane Lamamra said that the Palestinian question is still in the core of international events. He stressed that the Israeli aggression against civilians in Gaza and striking at UN facilities as well as the social and economic infrastructure demonstrates how big the crisis is. 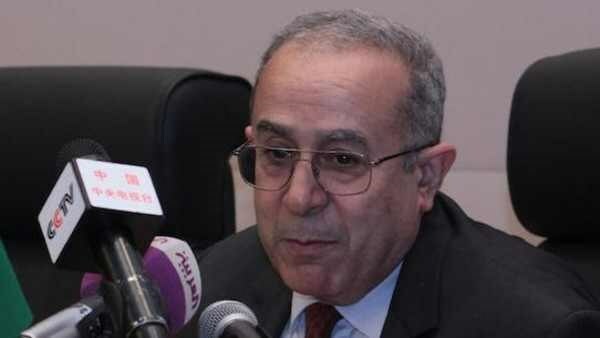 Lamamra regretted, in his speech at the 28th Session of United Nations Human Rights Council, that the resolutions of UN Human Rights Council and other UN agencies, which condemned the aggression, remained without a real impact. Lamamra added, “The Palestinian people and leadership are still looking forward to the victory of law over force through the realization of their national inalienable rights and the establishment of an independent Palestinian state with its capital in East Jerusalem”. A decree setting up election dates will be issued as soon as it gets Hamas’s consent, the Palestinian Authority Chairman, Mahmoud Abbas, claimed Wednesday. Speaking during the 27th session of the central council of the Palestine Liberation Organization (PLO) held at noontime Wednesday in Ramallah, Abbas claimed that Hamas refuses to hold elections. 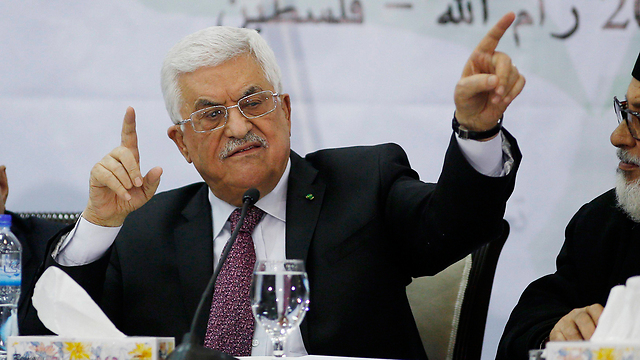 Abbas urged Hamas to coordinate with the PA in making sure a long-overdue Palestinian vote goes ahead. 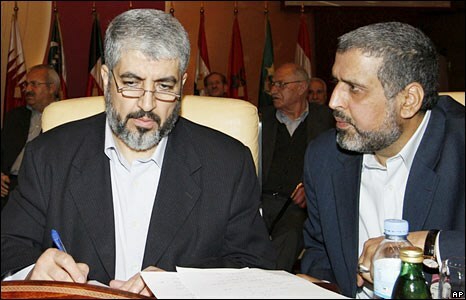 "As soon as Hamas sends me an approval, I will immediately issue a decree calling for elections," he further claimed. Earlier, afternoon Tuesday, senior Hamas leader Dr. Mousa Abu Marzouk has called on Abbas to issue an edict setting up election dates. Abu Marzouk urged, in statements posted on his Facebook page, the PLO central council to call for a meeting between all the factions who signed the reconciliation accord as a means to heal the rift once and for all. In another context, Abbas claimed to have played a role in halting the aggression on blockaded Gaza by appealing to Egypt to broker a truce accord. Senior Hamas leader Mushir al-Masri, meanwhile, slammed Abbas’s speech as sheer “political clowning,” saying Abbas is only concerned about his political future. “Abbas’s speech aims at dispatching a given message to the Israeli occupation by showing that he still clings to negotiations,” Masri added in his statement to the PIC. The Hamas leader denounced Abbas’s dragging of his feet regarding mounting ad hominem campaigns designating Palestinians as terrorists, citing the recent Egyptian court ruling, blacklisting Hamas as a terrorist, as a case in point. “Why doesn’t Abbas dare condemn Israeli terrorism?” he wondered, urging the latter to put into effect all accords signed with Hamas and other national factions. Masri reiterated his group’s eagerness to hold presidential, legislative, and parliamentary elections at the soonest time possible, adding that Abbas is using the weapons of the Palestinian resistance in Gaza as a bargaining chip. “Now the wind is in Abbas’s sails and we’re longing for a decree to be issued soon. But Abbas evades his responsibility, just as he does with the reconciliation file, for fear of his political future,” he maintained. He branded the PLO meeting “elitist” and “partisan” and one that does not reflect the aspirations and expectations of the Palestinian people. 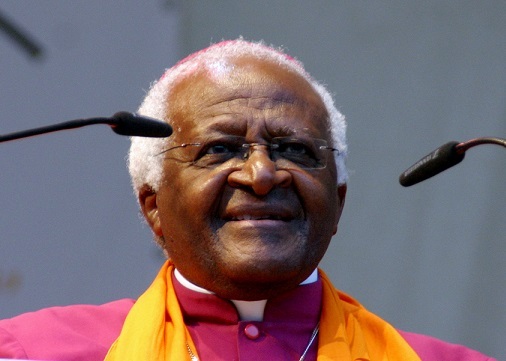 In an interview with the Palestinian Embassy in South Africa, and the Palestinian delegation participating in the Israeli Apartheid Week, Archbishop Desmond Tutu said that the “west committed the holocaust against the Jews in Europe, while the Palestinians are still paying a historic price for it. Tutu, a senior religious, intellectual and social figure who received the Nobel Peace Prize in 1984, said that the Palestinians should not be paying the price of what the west did to the Jews in Europe. Archbishop Tutu also denounced Israel’s persistence to force the Palestinians to recognize it as a Jewish State, slammed the attempts to hold Islam and all Muslims responsible for terrorist groups such as al-Qaeda and ISIS, and said such parallels are not different from trying to hold all Christians responsible for the crimes the Ku Klux Klan committed. Media officer of the Palestine Embassy, Tamer al-Masry, handed the Archbishop a gift in the name of the Palestinian people, thanking him for his support, wishing him well, and wishing him to be able to visit Bethlehem soon. 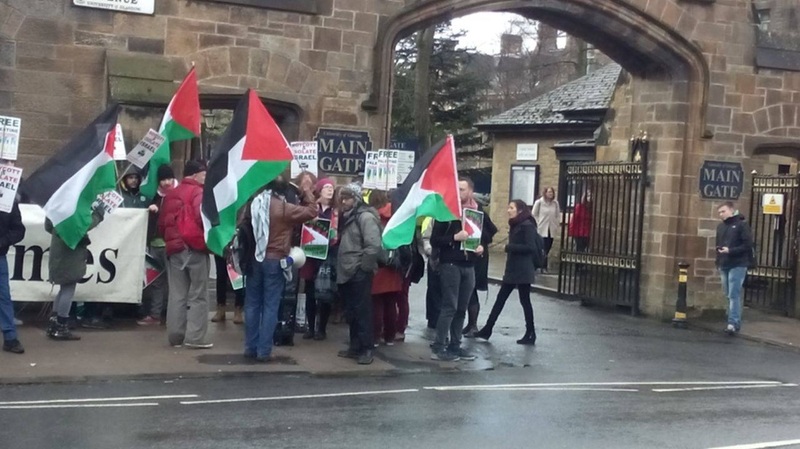 The Israeli Apartheid Week started on March 2nd, and will continue through March 8, in more than 250 cities around the world, and in more than 20 South African Campuses and 45 South African cities and towns. Israeli Apartheid Week (IAW) is an annual international series of events (including rallies, protests, lectures, cultural performances, concerts, films and workshops) held in over 250 cities, communities and campuses across the globe. It is endorsed in South Africa by more than 75 organizations, trade unions, political parties and other groups. Abbas: Negotiations with Israel "Still On The Table"
PA President and Fateh member Mahmoud Abbas, Wednesday, said talks with Israel are still on the table, despite failed moves at the UN and numerous past rounds of fruitless fruitless efforts at negotiations. Abbas was addressing Palestinian leadership at the opening of a two-day conference in the West Bank to discuss the future of the Palestinian Authority, whose existence is under threat after Israel cut off the organization's tax revenues, a key source of PA funding. "We ask all countries of the world to recognize the state of Palestine," he said, according to Ma'an News Agency. US-backed talks between the PA and Israeli Prime Minister Benjamin Netanyahu's government collapsed in April, after nine months of failed meetings amid bitter recriminations and mutual blame. Relations have since further deteriorated, after a devastating Israeli assault on the Gaza Strip during the summer, and with Palestinian moves against the Israelis in the international arena. Palestinian officials submitted a UN Security Council resolution in December -- which was voted down -- calling for an end to Israel's occupation of the West Bank within two years, and, in January, joined the International Criminal Court, where they plan to press for war crimes against Israel. Israel has, in response, frozen $127 million per month in tax revenues due the PA, depriving it of most of its funds and rendering it unable to pay tens of thousands of employees. "This is the third month in a row that we're taking loans from the banks," Abbas said, adding that a "political solution" was the best way to end the deadlock. The Palestinian Authority remains in close coordination with Israeli security, despite President Abbas' threats to end the affiliation, amid a state of escalating tensions in the region. PLO's Central Council meets in Ramallah to discuss diplomatic steps, security coordination with Israel; Palestinian president claims Israel offered to release tax funds if PA dropped ICC suit. Palestinian President Mahmoud Abbas accused Israel of "gangsterism" on Wednesday over its decision to withhold the transfer of more than $100 million a month in tax revenues it collects on the Palestinians' behalf. The comments were made when the PLO's Central Council convened in Ramallah on Wednesday morning to hold deliberations on policy ahead of the Israeli elections on March 17. "How are they allowed to take away our money? Are we dealing with a state or with a gangster?" he asked a gathering of the Palestine Liberation Organization's central council, its second-highest decision-making body. The council discussed the security coordination with Israeli authorities and potential diplomatic steps, including the ongoing efforts at the International Criminal Court in The Hague. The Central Council, led by Salim Zanoun, has 124 members from the West Bank, Gaza, and abroad. At the opening of the conference, Palestinian President Mahmoud Abbas comprehensively addressed recent developments in the conflict. The committee met after weeks of intense American pressure on Abbas – in part to assure the Palestinian Authority does not take any hasty measures which could affect the election in Israel. Consequently, Abbas refrained from addressing the security cooperation with Israel during his speech. Abbas said the Palestinians received an offer for Israel to release the PA's frozen tax funds if they backed out of their efforts at the ICC in The Hague, but that the offer was rebuffed. "The international court in The Hague is the only place in which we can raise our complaints over the occupation. They told us that if we do not go to The Hague they will return our money. We refuse to trade our bid at The Hague for tax money," he said. The Palestinian president claimed Israel was withholding 1.8 billion shekels. Abbas said the Palestinians would resume the negotiations with Israel if construction in the settlements is frozen and security detainees are released. He claimed Israel has not honored its commitments with the Palestinians. "We must examine how to maintain the PA and whether all parties commit to the agreements and not only one side." 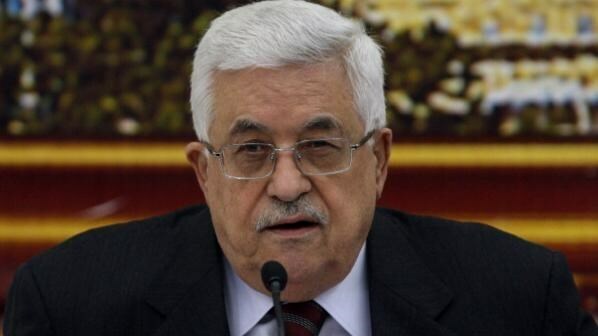 The PA president stressed the Palestinians would not surrender but would not resort to violence either. "A peaceful, popular resistance is our way." 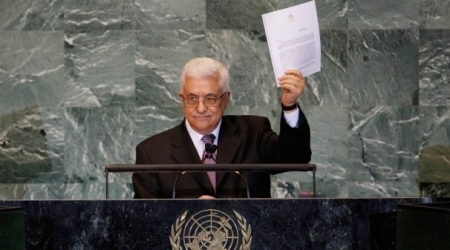 Abbas claimed Israel paused all progress because of the "excuse" that election was near. "We do not intervene in the Israeli elections and we are willing to negotiate with any person who the people of Israel elect. We do not care who wins." However, he praised the alliance between the Arab lists and wished them success on March 17. He then reiterated that the Palestinians were committed to the peace process and vehemently opposed terrorism. "The recognition by parliaments in European countries does not mean we no longer wish to negotiate or are avoiding talks," he said, and called on countries across the world to continue recognizing Palestinian sovereignty. Abbas briefly addressed the Islamic State terror group, condemning the murderous acts of the jihadi collective, including the burning alive of the Jordanian pilot and the killing of 21 Egyptians in Libya. Member of the Fatah central committee, prisoner Marwan al-Barghouti, on Tuesday urged the central committee of the Palestine Liberation Organization (PLO) to sever its economic and political ties with Israel and end all forms of negotiations. Barghouti pointed out, in a press statement, the need to reconsider the missions allotted to and the output expected from the Palestinian national authority so as to make sure the latter, as the potential nucleus of a free and independent Palestinian state, is assuming its responsibilities in the very best way possible. 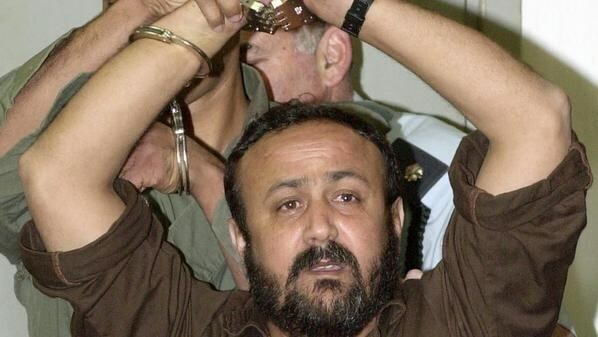 Prisoner Barghouti stressed the need to agree on a new national strategy to be jointly adopted by all political, academic, intellectual and socio-economic national forces and institutions. He said such a longed-for strategy should be rooted in a politics of boycott aimed at embargoing all negotiations with the Israeli occupation and generating a set of new foundations upon which the national path should be built. 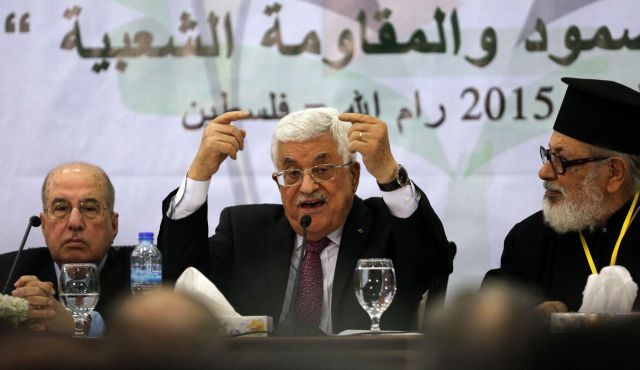 Head of the Fatah movement and PA chairman, Mahmoud Abbas, meanwhile, is expected to chair a round of PLO central committee meetings set to kick off Wednesday in the Ramallah-based presidential headquarters. According to Barghouti, the expected meetings, said to be the first of their kind since April 2014, are being convened as the Palestinian-Israeli peace talks have reached a deadlock, partly due to the biased stance adopted by the U.S. administration, materializing most notoriously in the latest veto against the Palestinian statehood UN bid. The PLO session coincides with the state of turmoil and sectarian strife rocking most of the Arab states and the region as a whole, prisoner Barghouti noted. Political bureau member of Hamas, Dr. Mousa Abu Marzouk, afternoon Tuesday called on the Palestinian Authority Chairman, Mahmoud Abbas, to issue an edict setting up election dates. Abu Marzouk urged, in statements posted on his Facebook page, the central council of the Palestine Liberation Organization (PLO) to call for a meeting between all the factions who signed the reconciliation accord as means to heal the rift once and for all. The senior Hamas official warned of intents to turn blind eyes to the calls launched by the Palestinian Legislative Council for an urgent PLO meeting so as to keep tabs on the socio-political developments. He pointed to the current tension between Egyptians and Palestinians, calling for the need to prioritize national interests over partisan interests. A session of the PLO central council is expected to be held Wednesday and Thursday to address a chain of national issues. Ramadan Shallah, the Secretary General of Islamic Jihad Movement, discussed Palestinian issues with Arab League Secretary General Nabil al-Arabi in Cairo on Tuesday. The Deputy Arab-League Secretary-General Ahmed Ben Helli said in a statement that Arabi met with a delegation of Jihad Movement headed by its Secretary General. During the meeting, Arabi stressed the urgent need to address the disturbed relations between some Palestinian factions and other parties and the need to end differences between Palestinian parties, he added. Meanwhile, head of the Palestinian Center for Human Rights and Chairman of the Board of Trustees of the Arab Organization for Human Rights Raji Surani confirmed that Israel’s siege on Gaza Strip constitutes a collective punishment against two million people in the Strip. During his meeting with Arab-League Secretary-General in Cairo on Monday, Surani said that Israeli siege on Gaza is a deliberate war crime. Israel's blockade of the Gaza Strip has created the worst humanitarian crisis in the Strip, he pointed out. Gaza siege is one of the four files to be filed with the International Criminal Court (ICC) in addition to settlement reconstruction, the Apartheid Wall, and Israel’s summer aggression on Gaza, Surani underlined. He called on Arabi, in his capacity as a former member of UN International Court of Justice and the Secretary-General of the Arab League, to provide the Palestinian legal representatives of victims of Israeli crimes with all moral and political support before heading to the ICC. For his part, Arabi vowed to support the Palestinian intention to head to the ICC, pointing out that he had received an invitation from Prosecutor Bensouda to visit The Hague. On the other hand, Surani called on Arabi to make more efforts to achieve Palestinian reconciliation and to end the internal division that constitutes a political suicide.